he sat down by a well. 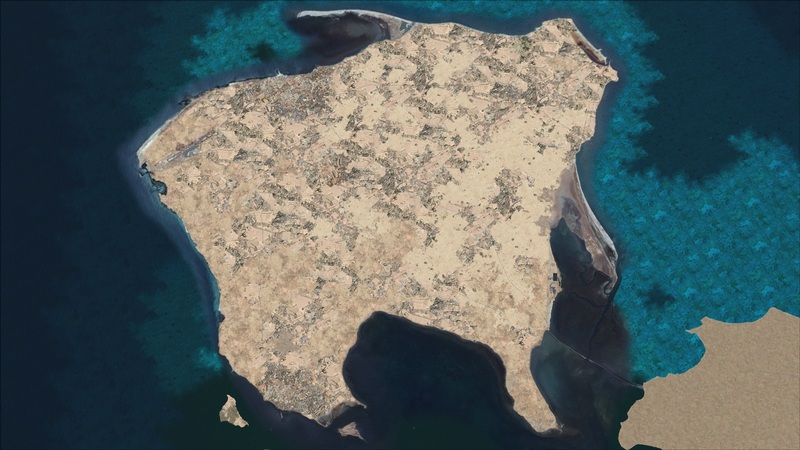 Djerba: Island of the Lotus Eaters? Here stands young Moses, alone by a foreign well, in a moment of dark failure. His adopted father has put a price on his head; his early actions as a “leader” have blown up in his face. Just a few verses ago he “grew up, and went out to his brothers to witness their labors” (Exodus 2:11). He saw – and acted. A promising start for a great leader, no? But then he killed that Egyptian, and somehow now he’s a busybody, a murderer, despised by Israelites and Egyptians alike. Are either of those “his brothers” now? Exiled to Midyan, it doesn’t look like he has any intention of ever going down the activist’s path again. Now the priest of Midyan had seven daughters. Shepherds came and drove them away. and gave drink to their sheep. וַתָּבֹאנָה וַתִּדְלֶנָה וַתְּמַלֶּאנָה אֶת הָרְהָטִים לְהַשְׁקוֹת צֹאן אֲבִיהֶן. Like a Hollywood film, in the darkest moment, the female lead appears. Harassed by local shepherds, the young lasses need a savior. Despite himself, Moshe finds himself stepping up again. The key word here is “delivered”. Moses delivered them – ויושיען. Just as Pharoah’s daughter “delivered” him from the Nile, just as God intends to “deliver” the Israelites from Egypt (with Moshe in the lead). Yes, he’s young, and juvenile, and he made some early mistakes – but Moses is a Deliverer. משה המושיע. It’ll take many decades and a vigorous shaking from God at the Burning Bush, but eventually, Moshe will return and deliver his brothers from Egypt. And with them give the world the greatest story ever told. Cut to another Moshe, Rabbi Moshe Halfon haCohen, who lived on the island of Djerba, off the coast of Tunisia. Djerba is perhaps the coolest Mediterranean tourist destination you never heard of. Beautiful beaches, ancient ruins, and – as it turns out - the site of Chalmun's Spaceport Cantina from the first Star Wars movie. It is also the site of the oldest continuously active synagogue in the world and is famous for its Jewish community having one quirk: the community was almost entirely made up of kohanim, priests, which made for some splendid halakhic quagmires. The El Ghriba synagogue, Djerba, Tunisia, 1940's. of the Djerba community during the pivotal years of nationalism and modernism, Halfon, the author of over 44 books, was renowned as the moral beacon of Djerba. 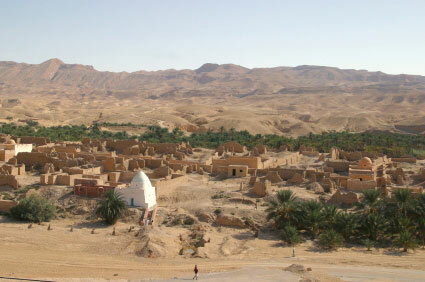 It is said that when he died, the whole island – Jews, Berbers, Muslim and French – came out to pay him last respects. According to local legend, Djerba is the site of Homer’s Island of the Lotus Eaters. But for Rabbi Moshe Halfon haCohen, Midyan is not the place where Moses eats the lotus, and declares “let what is broken so remain.” Au contraire, Midyan was the place where Moshe reached the height of his moral development. And it is now up to us to follow suit. The four actions of Moshe inform us of Moshe’s greatness of spirit:… (1) While in the royal palace he left, to see with his own eyes the situation of our brothers the house of Israel. (2) Beating the Egyptian who beat one of our fellow Hebrews. (3) Rebuking the evil Hebrew who beat his fellow man, and (4) saving the seven daughters of the Medianite priest, Yitro, from the hand of shepherds and robbers. Now, all people of open heart and righteous spirit must learn from Moses. Take a stand and deliver your brethren from the hand of those who exploit them. This is especially true in those places where our brothers are oppressed and tormented by those of “no covenant”. However, even if one of our fellow Jews is exploiting others– one cannot turn a blind eye. Action must be taken to help and rescue the oppressed. Even when the oppressed person is not of our faith, it is proper that even in such a situation one stand in support of those that are being persecuted, because “any oppressor is repulsive to God” (Deut 25:16). Halfon here takes a rare stand for a Jew in a Muslim society, a brave stand which goes against some opinions in Jewish law. Our obligation, like Moshe, is to stand to the right of the oppressed, regardless of their religion, nationality or citizenship. Indeed, that is what God does. It is important to note that Halfon’s push towards universal, blood-line-blind justice, is rooted in a particular identity. Moses’ sense of justice sprouts forth from a concern for his brothers. From this he learns the value of morality, the price of oppression. Once that is in place, the subsequent universal mission crystalizes. Concern for my brothers doesn’t make me blind to the world, it trains me to be a morally responsible citizen of the world. Where I earlier described a Moses fleeing and failing, Halfon sees a moral evolution, which stems from – and returns constantly to – its rootedness in a particular community. p.s. In the interest of brevity I skipped over the most poignant paragraph of Halfon’s sermon. Here it is, an inspiring Talmudic unpacking of all the justifications we give ourselves for inaction. A person must also not think to himself: "Perhaps by attending to someone else’s issues I will suffer some physical harm or monetary loss, or my status will fall in the eyes of the local government", even quoting the Rabbinical rule that "Your lost object and your peer's lost object – your lost object takes precedence" etc. Only someone who is of an unclean spirit would say such things! Firstly because if he does not act to help and save the poor and impoverished – tomorrow or the day after the persecution will arrive at his door – and then it will indeed be his own affliction. Moreover, in issues that regard the rule of the land – it is an obligation and a commandment for every person to protest, thus fulfilling the verse: "And you shall purge the evil from your midst" (Deut. 13:6). And whoever turns away from such situations is a despicable lost wretch. ארבע הפעולות אשר פעל משה רבינו מגידים ומודיעים לנו גודל רוממות נפשו: מלא רוח גבורה אלוהית, רם המעלה, אשר לא יוכל להביט את העול והחמס, ומציל היה בכל מה שאפשר לו להציל: אשר עם היותו בבית המלכות הלך לראות מצב אחינו בית ישראל, והכאתו את המצרי אשר היה מכה את אחד מאחינו העברים, ותוכחתו לעברי הרשע המכה את רעהו והצלתו לשבע בנות כהן מדין מיד רועים וחמסנים. ומזה ילמד כל בר לבב ובעל נפש יקרה להיות עומד בפרץ להציל את אחיו מיד עושקיהם נפש. ובפרט באותם המקומות אשר אחינו שם מדוכאים ומעונים מבני בלי ברית. וכן גם בהיות אחד מאחינו בית ישראל עושק אין להעלים עין וראוי לעזור ולהושיע את הנעשק, גם בהיות הנעשק נכרי ראוי גם כן בבוא מעשה כזה לעמוד לימין הנעשק כי תועבת ה' כל עושה עול. ומן האמור יש ללמוד גם כן שגם בהיות האדם בהשקט וביטחה שלום ונחת באוהלו ועושר וכבוד סביבו ודבריו נשמעים אצל הממשלה, אל יהיה חושב בלבבו לאמור הנה שלום באוהלי ומאי איכפת לי מן אחי או מן כל העולם כולו. וכן אל יחשוב בלבבו לאמור שמא על ידי זה שאני מטפל בעסקי זולתי פן יבולע לי ויהיה לי איזה הפסד ממוני או גופני או לא יהיו עוד דברי נשמעים אצל הממשלה, ואבידתי ואבידת חברי אבידתי קודמת וכיוצא. כי לא יאמר כזאת רק מי שהוא בעל נפש לא טהורה, האחד כי אם כה לא יעשה להציל ולהושיע עני ואביון למחר או למחרתו יוסיפו עוד בני עולה לענותו גם הוא ונמצא כי הדבר נוגע ממש אל עצמו ואל בשרו. ועוד כי בדבר כזה שהוא כללי לישוב המדיני, החוב והמצווה על כל אדם למחות לקיים מה שנאמר ובערת הרע מקרבך. וכל המעלים עין בזה אינו אלא טועה נבזה וחדל אישים. ובאמת יש ויש מאחינו בעלי לב טוב ונפש טהורה להציל עשוק מיד עושקו אך בעוונותינו הרבים איננו חסרים גם כן מאיזה אנשים שאינם מביטים רק להנאת עצמם ומצבם ומעלימים עין לגמרי מכל עסקי זולתם אם נעשק ואם עושק, ובלבד שיהיו אתם בשלום. ואם כזאת יהיה נוגע הדבר להם אפילו כמלא נימה בונים עולמות ומחריבים אותם.